Save your favorite flowers and leaves by pressing them with this 7" wooden flower press that you can paint. 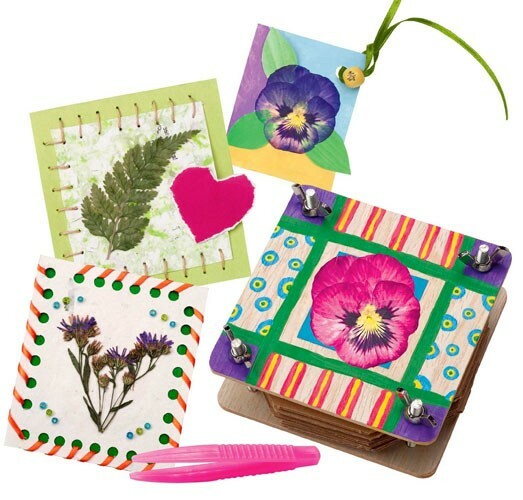 Make handmade cards, gift tags, bookmarks, scrapbook pages and more! Attach beautiful ribbons to your gift cards to decorate presents. Personalize note cards and bookmarks with bright colorful paints. 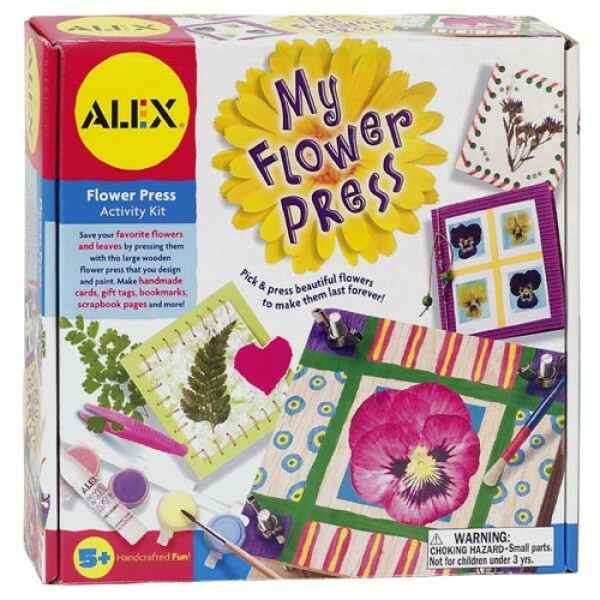 Kit comes with blotting paper, paints, brushes, tweezers, wooden beads, craft glue, hemp, hole punch and easy instructions.